If you hold a healthcare card or pension card, speak to your GP about a referral through the Brisbane MIND program. This program is commissioned by the Brisbane North Primary Health Network (PHN) and there is no cost to the client. However, eligibility criteria apply and referrals are limited. You can find out more here. Medicare rebates are available for the following client groups. To find out if you qualify, click the link that applies to you or call us today. 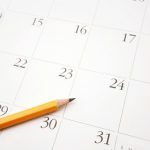 Medicare rebates vary depending on the type of referral, session duration, service type, individual or group session, and whether you have reached the Medicare Safety Net. In most cases, sessions involve 50-60mins of individual therapy. 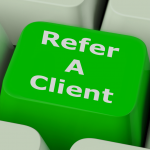 To qualify for the rebate, sessions must be delivered face-to-face and the person who the referral was made to must receive the service. Only one Medicare service can be claimed per day. 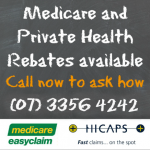 Please note that Medicare rebates are not intended to cover the whole cost of your service and there will usually be a gap fee to pay. This gap fee is your out-of-pocket expense (the difference between your service fee and the Medicare rebate). For your convenience, we can process your Medicare claim at Q-Psych at the time of payment for immediate reimbursement. Most private health funds offer rebates on psychology services, however the amount of rebate provided differs for each fund and policy. Please contact your insurer to check your policy entitlements. For your convenience, we process most private health fund claims on-site at the time of payment, for immediate reimbursement. See if we provide on-site claiming for your health fund (click here: Participating Health Funds for Psychologists). If your fund is not listed, we will provide you with an invoice to submit for claiming. You do not need a referral to claim for private health psychology services.